Why choose a solar attic fan? 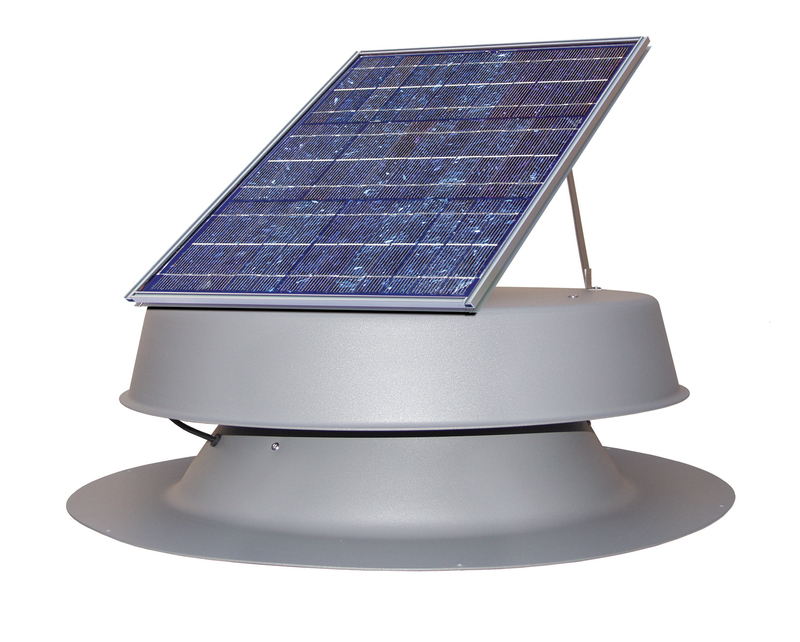 This American-made, 25-year warrantied solar attic fan is adaptable to any location, roof type, and can be used in any environment! Attic venting is an important aspect in maintaining a healthy, energy efficient home. Proper venting cools your roof extending the material life and reduces the load on your air conditioning system. Attic venting also increases fresh air circulation which reduces vapor built up generated by everyday activities like showering and cooking. Excess moisture trapped in your attic can cause a variety of problems from rust and rot to increased bacteria and mold counts which can have a direct impact on your respiratory health! Passive vents have been a part of building codes for years, but to really get the benefit of venting, soffit vents, ridge vents and louvers rely on nature to provide sufficient air pressure and air movement. So, the majority of the time your attic is stagnant and continues to build up heat and moisture. The solar attic fan is a simple, environmentally sensible solution that can protect your home and save you money. Powered completely by free solar energy, this sleek and efficient vent is both compact and quiet. 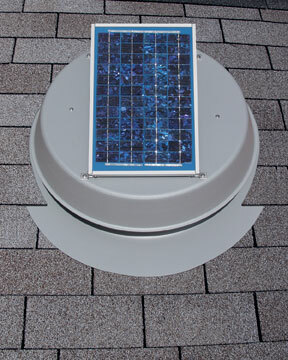 The design of the solar attic fan minimizes obstructions in the flashing and shroud and incorporates an angled throat to facilitate a venturi or suction effect to increase air flow. This increases cfm output and decreases motor wear. Additionally, many fans incorporate the solar panel into the fan housing, leaving you to compromise between optimal venting and optimal solar exposure. The design of this solar panel allows you to mount it at the best collection angle and position whether on the fan housing or directly on the roof.